Emmerdale chef Mark Charnock, aka ‘Marlon Dingle’ tested his kitchen skills during his visit to Hambleton Grange in Thirsk, West Yorkshire. 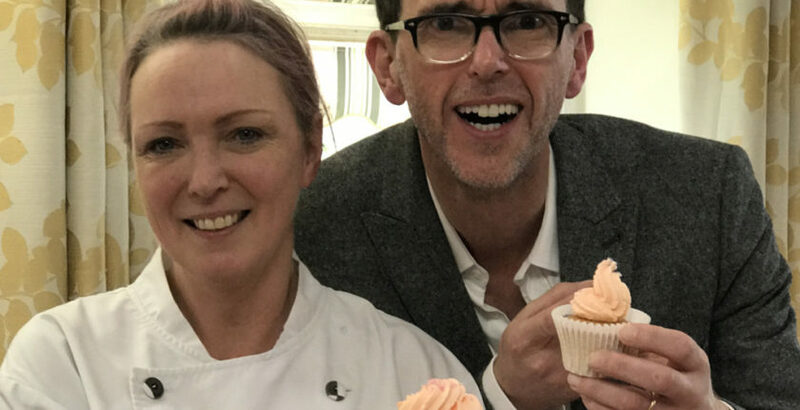 Mark, who has featured in the ITV soap for 22 years, was called upon to test his cake decorating skills against the home’s resident chef Ellie Cook during a summer fair. As well as mingling with residents, staff and the local community and signing autographs, Mark was asked to officially open the home’s new art room, which will be used to host regular painting, drawing and craft classes for the people who live at Hambleton Grange. Hambleton Grange is operated by Ideal Carehomes and offers residential and dementia care to older people from Thirsk and the surrounding areas. Residents live at the luxury home on an all-inclusive basis. The home has a dedicated Lifestyle Manager who arranges regular trips, events and activities according to resident preferences and staff have access to the latest care plan technology enabling them to devote more time to their residents.